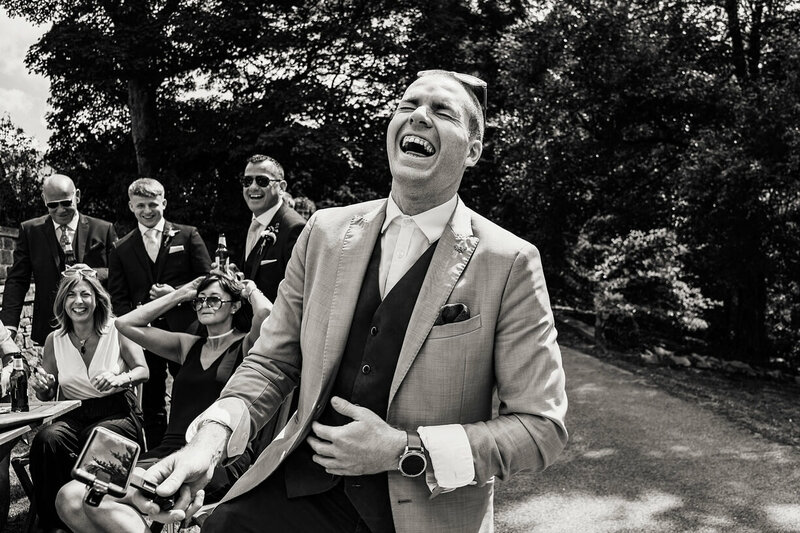 Manchester Wedding Magician, Sam Fitton. Based in Manchester, UK. 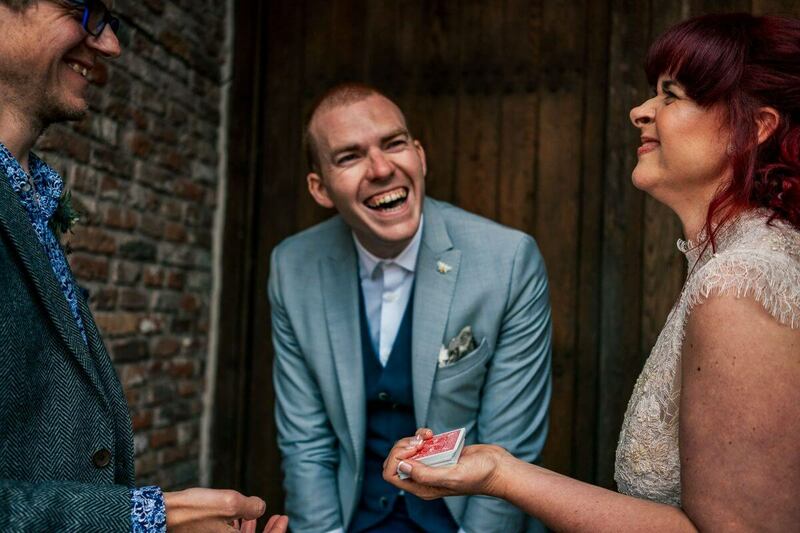 Hi, my name’s Sam Fitton, Manchester wedding magician, and this is my wedding entertainment dedicated website. If 9 years ago you’d have told me that I would become a professional wedding entertainer, let alone win national awards, I’m not sure I would have believed you. In fact, performing magic at weddings happened by accident but I’m so glad it did. Because from that moment on I was hooked, and I love creating an unforgettable atmosphere at weddings. Being part of the wedding industry at this level is more than just a job. After booking me, I like to keep in touch and will send regular emails to check in, see how your plans are going and just, because. I’d love to hear about your plans, have a good ol’ natter and be a part of your big day. Drop me an email, Whatsapp me, complete my contact form below and most importantly… Have fun planning your wedding! 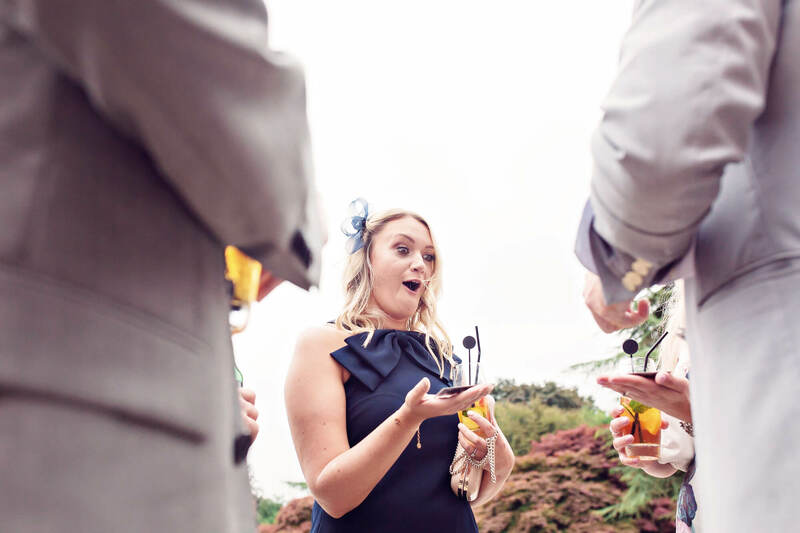 So you can imagine the excitement, buzz and amazing atmosphere that’s created when I rock your Drinks Reception and Turnover*, the party vibe starts growing. It’s something different your guest have never experienced before. Bursts of energy and life erupt in different parts of the room as the sound of cheering, clapping & clinking glassware follow plentiful gasps of amazement. There’s two key times where what I do works brilliantly. Your Drinks Reception & your Turnover*. For more info on those head to to my wedding magician page where I dive into some wedding planning top tips and explain why they work so well. My secret is simple. I love what I do and making flippin’ amazing weddings is just who I am. Known as the Manchester wedding magician, it goes without saying (I think! ), that I am based in Manchester however I travel across the UK & overseas for destination weddings. I’ve even been flown as far as the Seychelles! Yep, I know, I still can’t quite believe it myself! 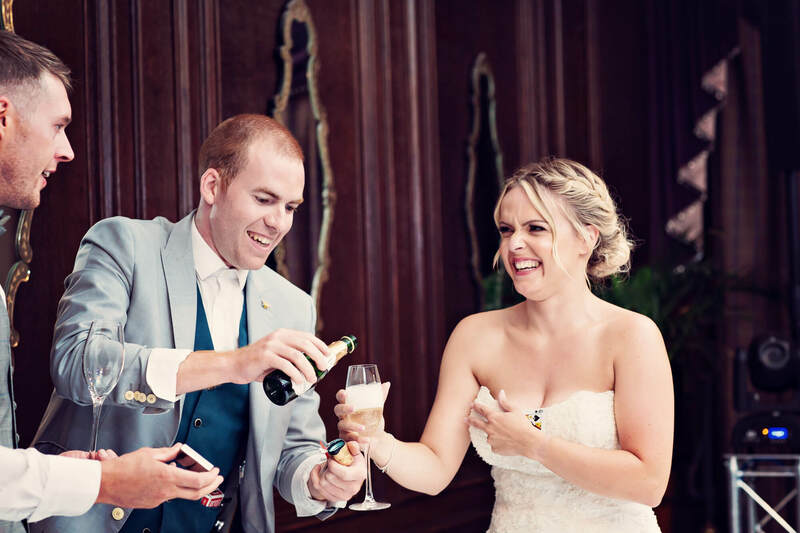 Throughout my career as the Manchester wedding magician I have created strong relationships with my Bride & Grooms (who end up becoming good friends) and also with wedding venues and fellow wedding professionals. 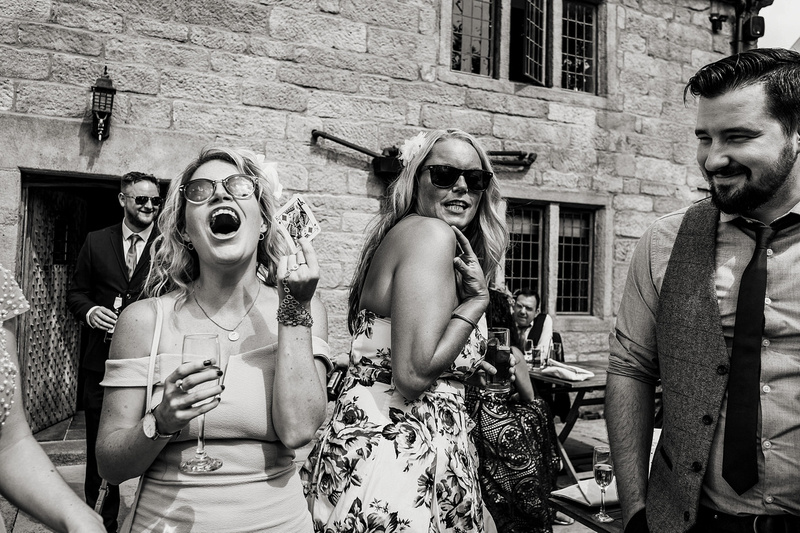 Some venues include: Heaton House Farm, Beeston Manor, Peckforton Castle, Styal Lodge, The Mere, Low Wood Bay, The Belsfield, The Villa, Bartle Hall, Gibbon Bridge, Thornton Manor, Mottram Hall, Colshaw Hall, Iscoyd Park, Capesthorne Hall, The Broughton Estate, Mitton Hall, Eaves Hall, Owen House Wedding Barn & Ashfield House. Some wedding Pro’s: James Jebson, David Stubbs Photography, James Tracey, Howard Wing, Jonny Draper Photography, The Lawsons, Flower Design, Lottie’s Bridal Boutique, DaxOnSax, Top Table, Andy Murphy DJ, Jeff Wood Visuals, Philip White, Flower Lounge, Red Floral Architecture & The Rush Band to name but a few! Making good relationships has enabled me to become recommended by venues & other wedding professionals due to the high quality of my performance. 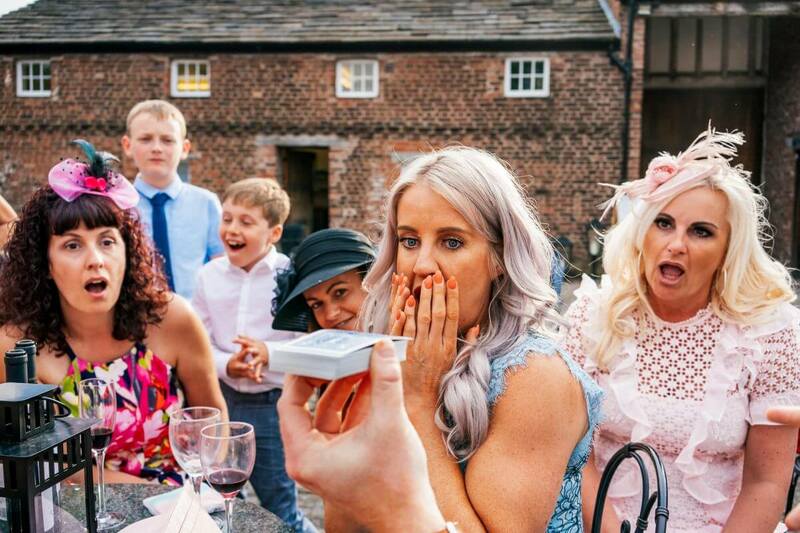 As such more than 90% of my Manchester wedding magician work comes through recommendation.